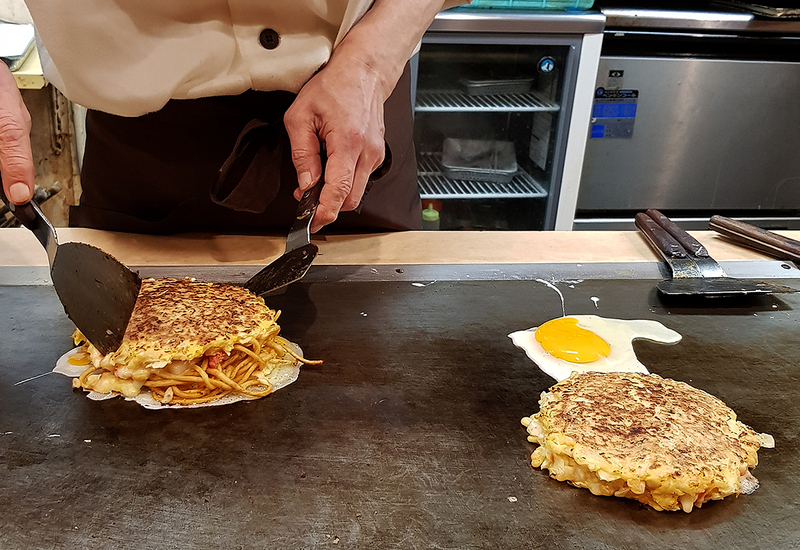 We've been to Osaka a couple of times but this recent trip was the 1st time we had okonomiyaki in Japan and it was delicious! There are many okonomiyaki restaurants from basic to fancy ones and I was almost worried that I had to be in a queue! Osaka Botejyu main branch and it had no lines. It's kinda quiet, empty the first time we walked passed... but don't let it fool you- as the dishes were delicious! The night we went saw us with a few locals dining and occasionally foreigners like us dropping by. Menu in english are available but pointing at what the next table is having, works better! I always had the idea that we'll be cooking our own okonomiyaki but thank goodness we didn't have to! 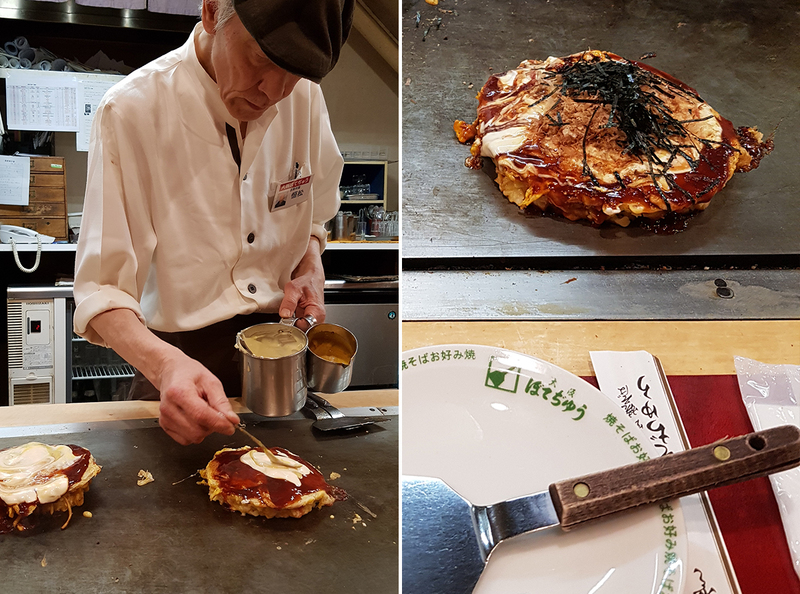 The elderly uncle is such a pro and he put on a show for our virgin okonomiyaki meal.